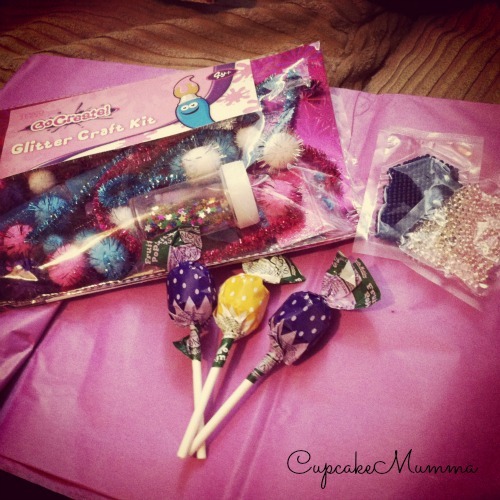 I bet you thought I had forgotten all about my little gift giving journey? Not so my dear readers! For reasons I can't even think of I seem to of just never got around to blogging my gift in May and due to some minor issues, the June gift has only just arrived! As this gift was for family there was a high chance of the gift being seen before the post arrived so I wanted to wait before I blogged about it. 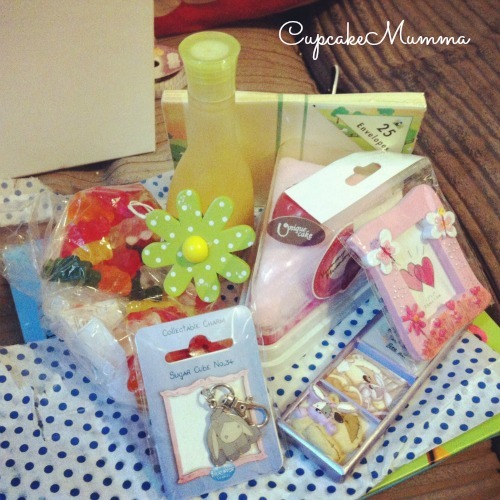 Anyway, now I can finally blog about the gifts I sent lets start with May. Keyring and door hanger to make her home a little more 'girly' ( she has 3 boys!) some relaxing bath gel, jelly sweets (her favourite), a fabulous flannel shaped into a slice of cake, some envelopes and a few other decorations for when she gets that bedroom sorted. The gift I posted at the end of June was for my 3 cousins who I had just spent a few days with when I went away on a family holiday to Cambridge. I realised I had not yet done a gift for any little ones so put one together. 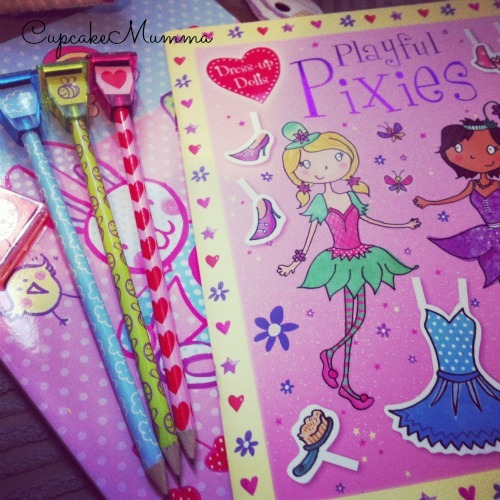 Lolly pops, crafty bits, water beads, work books and wonderfully colourful pencils! Now it's the summer holidays I think all of these items will come in very handy! I really hope my cousins love their post. I'm yet to do July's but I really must get my thinking cap on!